Supercalifragilisticexpialidocious: What do you want transmedia to do for you? 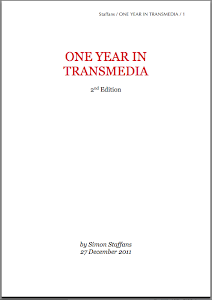 Transmedia is a buzzword to many. For others, it’s a word that promises gateways into new experiences. For yet others, it’s a term that is filled with challenges and possibilities on a storytelling and creative level. It all comes down to one simple question: what do you want transmedia to do for you? HBO's 'True Blood' is pretty good at keeping their fangbangers happy. Basically, transmedia is there for anything and anyone that has a story they want people to hear, no matter if these people are an audience, collaborators, subcontractors, potential buyers or someone else. Using transmedia storytelling methods will help anyone design and develop for multiple media and multiple entry points in a much more coherent, engaging and logical way than if not using said methods. On the other hand, there is nothing that says any project anywhere HAS to go to transmedia methods. Just be honest with yourself and your project – what do you want transmedia to do for you?